Heritage has developed at the University of Suffolk as a subject collaboration and interdisciplinary research strand based in the Suffolk Business School. The vision for Heritage at the University of Suffolk is that it will develop with the support of our county and regional partners over the next two to three years to be recognised as a regional, national and international centre of excellence for research and engagement in a distinctive range of applied heritage and historic environment thematic areas. What do we mean by heritage? We are interpreting the concept of heritage broadly - with two underpinning drivers being the business of heritage in the region, namely tourism and historic environment management; and the cultural heritage of the region, related to the unique characteristics of the landscapes, history, communities and museum collections in Suffolk and wider eastern region. A blog is currently charting the development and activities of the University of Suffolk Heritage project, and a regular research seminar has been established to which all are welcome. To be added to the mailing list for the research seminar, please get in touch using the contact details on this page. In the Suffolk Business School we are focusing the work of the Tourism, Heritage and Events team around the 'cultural' leisure offer (via cultural heritage and maritime tourism and events). This focus meshes closely with related areas elsewhere in business and management, namely SME development, sustainability, and inter-cultural management, and is adding distinctive case study material. Additionally, core management research and skills remain underdeveloped in the heritage sector, and academic interrogation of management and strategy (particularly foresight / scenario planning research, policy development and organisational change) within heritage organisations is providing a fruitful area of research opportunity. Additional research is being conducted on heritage interpretation and the display of archaeological and cultural artefacts in museums. In the School of Science, Technology and Engineering, the Computer Games Design team is developing some heritage games and digital guides. This includes a digital game for West Stow Anglo-Saxon Village. Members of the University of Suffolk heritage team are closely involved in many professional activities and projects around the country, and place 'industry interaction' central to the vision for the subject at the University of Suffolk. An overview of these are presented on the associated Further Information pages. 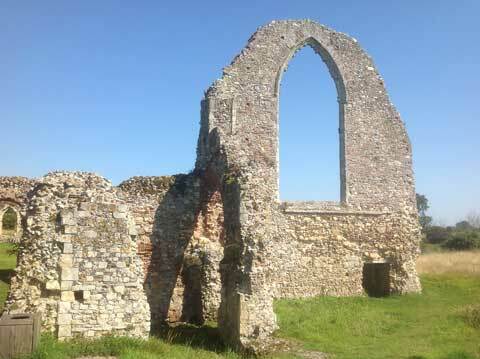 Expertise across a range of specialised areas can be commissioned to undertake consultancy projects or bespoke research, and we welcome enquiries about the services University of Suffolk Heritage can offer. We also welcome applications from students who would like to undertake Doctoral research in the field of heritage: please get in touch with one of the academic leads. 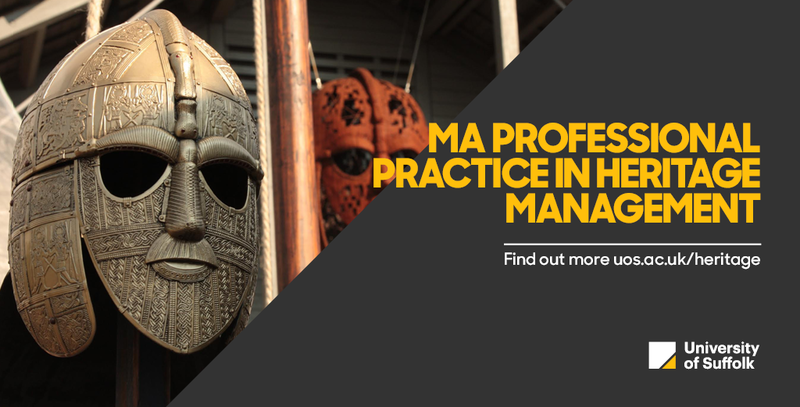 From the autumn of 2019 we will be offering the MA in Professional Practice in Heritage Management. Please email heritage.management@uos.ac.uk for further details.